Those who have followed the Faithful Thinkers blog for a year or more know that I followed the case of Charlie Gard last summer. Gard was born with a rare disease that the medical facility that was treating him was ill-equipped to deal with. He died at the hand of the British courts and doctors because these ill-equipped doctors refused to recognize other possible solutions. Instead of seeking outside help to save the life of a defenseless child, they sought to legally kill him instead. Other nations and medical facilities offered to transport and treat Gard at their expense, but all volunteered help was rejected and condemned by the doctors, and courts were eventually appealed to by the British doctors to order that Gard be left in their knowingly-incapable hands. The courts granted that request much to the horror of the parents and the rest of the civilized world. And now in 2018, it is happening again; this time to a child by the name of Alfie Evans. LifeSiteNews has been following the story carefully, so for the details, please click the link. 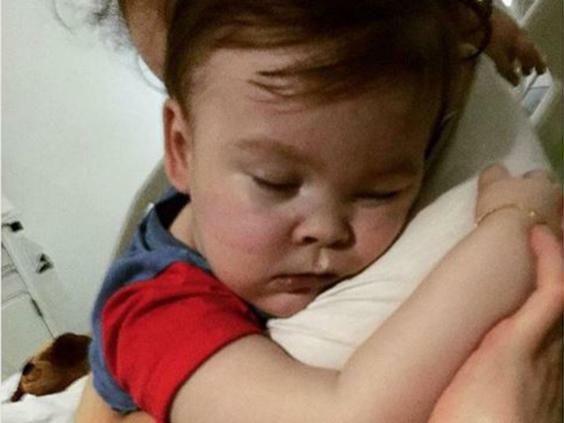 The suffering that is being endured by Alfie and his parents is unnecessary, gratuitous, and atrocious. Not only are the British doctors and judges acting against an individual human, but they are also denying future humans the benefits of medical progress that could be obtained by testing criteria for diagnoses and experimental treatments. The doctors and judges in Great Britain have taken a deliberate step against humanity. They did the same with Charlie Gard last year; a pattern is developing, and that pattern is not pretty. These doctors and judges are starting a pattern that stifles medical research; research that could ultimately save numerous lives if not stifled. If the medical community just decided to allow everyone with an ailment that they didn't know how to treat to just die without trying to heal them, there would be no more progress at all. And if this attitude towards their profession had been present in the pioneers of medicine, there would be no medical community to save lives to even speak of! This should not only outrage Christians, but every medical professional, every scientist, every human. If there was ever something that Christians and non-Christians could fight for together (and there have been many), this is it. If this is allowed to continue, it will become more common-place, medical advancement will eventually cease, and if you go to a "doctor" with something he/she has not seen, you are literally as good as dead; the only decision to be made by the "doctor" will be whether it will cost fewer resources (money, primarily) to the society for you to be euthanized right there or send you home to die. Many people support the government running healthcare. However, if those individuals who run the governments do not recognize the intrinsic value of individual human beings (especially over money and power), what we see in Britain today is what we can expect in our own countries in the coming years and decades. While we may believe that we will never be the victim of such a system, remember that the parents of Charlie Gard and Alfie Evans likely never thought so themselves until their children's lives were no longer under their protection due to the government removing their rights. They could not defend their own defenseless children. This is the worst nightmare of any loving parent. Why would we voluntarily make ourselves unable to defend our children and eventually ourselves? While humanists agree with Christians that humans are intrinsically valuable, here is where we disagree: humanists tend to believe that humans are born good, and will always value human life over money and power. Humanists believe that these are the people who run our governments and would (and do in Britian) make the decisions about the lives of the sick. However, Christians believe that humanity is fallen, sinful, and evil, and thus do not have, as their highest value, human life. These two views have been placed to the test in Great Britian, and one has failed. And what makes that failure even worse is the fact that we see so few humanists outraged about it- a second test of the view. The British doctors and judges do not have anyone else to whom they are morally accountable and will be held responsible for their decisions to kill children, nor do they even have an objective standard by which to guide their actions and judgments. The humanists are the ones who also run the government and will (and do) make these decisions, and unless they have an objective standard and someone to hold them morally responsible, what is to guide them to decide against more money or power in favor of a saved life? While humanists may have a rose-colored view of themselves and those who run our governments, the opposite is being played out before their eyes within the governments that they champion, yet they still refuse to believe it. This is not a failure of the idea that humans have intrinsic value but rather a failure of the idea that humans are good in their nature. Yes, humanists are correct that humans are intrinsically valuable (and they should join Christians in affirming this and fighting for the defenseless) but that is where their view's explanatory power ends. The Christian worldview completes the picture with the belief that humans are fallen. The Christian worldview consistently and accurately explains more of what we see in humanity, it provides an objective grounding for the view that humans are intrinsically valuable, and it provides an objective standard by which all our moral decisions can be judged. The humanist wants to condemn violations of humans' intrinsic value and intrinsic rights as truly evil. But without an objective ground for the value and rights and an objective standard for what is good, the humanists' condemnation of another's violation is merely an opinion- no more accurately describing reality than that of the statement, "chocolate is the worst flavor of ice cream." Humanists know that the value of human lives is not a subjective value like the value of ice cream flavors; they know that human lives are intrinsically valuable, but their worldview has no foundation for such an objective value. My appeal to the humanist is this: give in to the desire of your heart and take your humanism to the next level: affirm that there exists an Objective Ground for intrinsic human value, an Objective Standard of morality, and that violations of intrinsic human value are truly evil and are worthy of the condemnation that you know is not just an opinion but is true. Affirm that God exists, that man is fallen, and is in need of a Savior to bring us to a loving relationship with our Creator. I am not asking you to blindly trust in something you know to be false; that would be absurd. Rather I am asking you bring your head and your heart together, to believe that God, who accurately described how the universe works thousands of years before man had the instruments to discover that for himself, exists. I am asking you to affirm the truths of humanity that you witness with your own eyes: that humans are intrinsically valuable yet fallen. I am asking you to follow the historical evidence and affirm that Jesus died and rose from the dead to give us life. Life. That is what you desire most, and that is what only following the evidence and placing your trust in Jesus Christ can provide.